Autoimmune progesterone dermatitis (APD) is a rare autoimmune condition, considered to be an endocrine system abnormality, that is thought to be a reaction caused by woman’s hypersensitivity to her own (endogenous) progesterone. The exact cause of APD is unknown. There is however speculation that APD occurs in some women who have used exogenous progesterone, namely oral hormonal birth control pills, which may sensitize them to their own progesterone, though not all women with APD have used oral contraceptives, and likewise, not all women who use oral contraceptives are subjecting themselves to getting APD. These skin issues can appear around mouth, on lips, upper body, legs, arms (elbows), palms, hands, or feet. Pimples and acne are not considered signs or symptoms of APD. APD is exacerbated by the natural increase of progesterone after ovulation late in the luteal phase, anywhere from three days to a week prior to menstruation, and often disappears when menstruation begins, or shortly after menstruation begins. APD is cyclic, meaning it follows this pattern from cycle to cycle. This is key in diagnosing APD. Any of the aforementioned skin issues come and go within a week prior to and at the onset of menstruation. APD is often diagnosed by allergy skin testing. APD primarily subsides on its own upon the onset of menstruation, but for many women with APD, it returns each cycle. Medical treatment for the symptoms may include topical anti-itch medications, corticosteroids and hormone therapy to inhibit ovulation and the production of progesterone. For women with severe APD, surgical removal of the ovaries (oophorectomy) may be suggested. Most resources share that medications containing any progesterone (such as oral contraceptives) should be avoided as treatment. Conventional antihistamines have not been found to be effective. 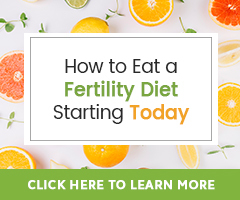 When considering natural options for APD, a woman would want to help her body by addressing hormone imbalance, immune system function, and fertility issues first. Case studies have shown that women with preexisting fertility issues, especially those often treated with oral contraceptives, are more likely to experience APD. Because this is such a rare condition, we feel it is best for women who suspect this issue to first get a diagnosis from a medical doctor and then, if interested in natural treatment options, seek the care of a naturopathic doctor. Will APD Affect A Woman’s Ability to Conceive? There is little information available about trying to conceive with APD. Some sources suggest finding a healthcare provider who has had success “desensitizing” women to endogenous progesterone without suppressing ovulation if you have had trouble conceiving with APD. Some women have conceived naturally and either experienced relief from APD or had to deal with it into pregnancy, while others have struggled to conceive. APD affects a woman’s quality of life. Many doctors don’t yet fully understand autoimmune health issues including APD. While rare, if you suspect a rash or skin issue you are experiencing may be APD, consider contacting your healthcare provider who may refer you to a specialist in dermatology, allergens, immunology, or reproductive endocrinology for further testing and to help create a treatment plan. You may be wondering about topical natural progesterone cream use and APD. Through the entirety of my research for this article, there were no references to this. If you are using natural progesterone cream, which is bioidentical, meaning the hormones in the cream are chemically identical to those your body produces, and you experience a cyclical skin rash or skin issue, one could speculate it may be a cause. Some women have allergic reactions to ingredients in natural progesterone creams, as well, so it can be difficult to determine what may be the true cause of the rash. As always, if you develop any type of skin issue while using natural progesterone cream, discontinue application of the cream and speak with your healthcare provider. I am currently experiencing a rash that surfaces on the left and right side of my neck.. it only shows up right before I start my period and lasts a few days in.. Would this be considered APD? It seem possible that it could be if you have now other known skin or health issues. Again because this is such a rare condition, we feel it is best for women who suspect this issue to first get a diagnosis from a medical doctor dermatoligist and then, if interested in natural treatment options, seek the care of a naturopathic doctor.